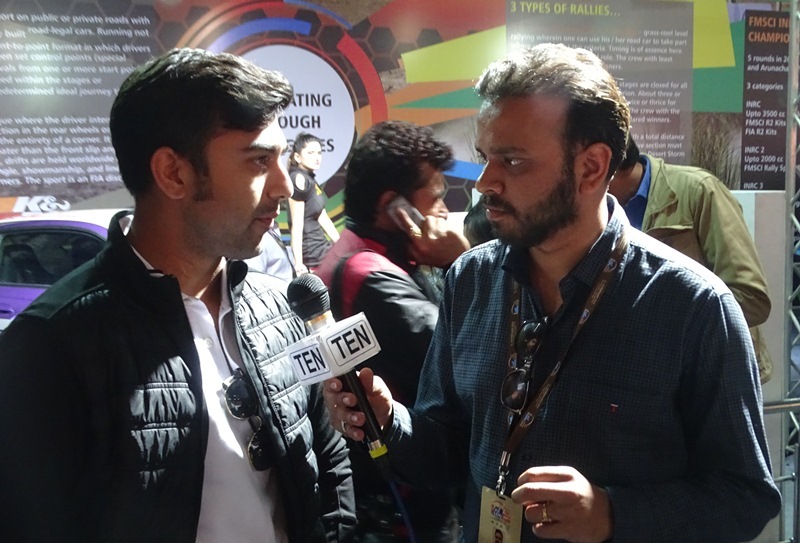 India’s renowned car racer who has many titles to his name, Arman Ebrahim today visited the Federation of Motor Sports Club of India pavilion at Auto Expo 2018. The FMSCI pavillion is exhibiting the journey of motor sports in India and encouraging the young generation to get involved in this sports. Interacting exclusively with Ten News, celebrated Indian Racer Arman Ebrahim about his journey in the Motorsports and the present Indian ecosystem. Arman says, “I started my journey in 2004 with Go Karting. In my first year itself I became Formula LGB Champion in 2004. Later I moved to Formula BMW Asia for the 2005 season. During the same year I also got opportunity to represent A1 Team India in the A1 Grand Prox Championship, driving in 6 races. I again drove for A1 Team India Part Season in the 2006-07 AV season. In 2007 I also drove in Formula V6 Asia where I recorded five race wins and finished second in points. I also drove for the David Price Racing team in the 2008 GP2 Asia Series where I finished 26th in points with a best finish of 9th position. I have worked with BMW and current I drive for Lamborghini”. Arman is a second generation car racer, with his father also being a F3 Champion. Talking about this he says, “It certainly helped as the environment in my family was supportive of my choice of career. However after I ventured into the real sports, it was all about my own choices and skills”. Speaking about the present ecosystem he says, “The present ecosystem is very supportive of budding motorsport enthusiasts. This pavillion at Auto Expo is itself witness of the efforts that FMSCI is putting up to promote Motorsports in India and we are sure with time more and more people will venture in to it”. Noida plans for ‘dust free’ city yet to start!